As a wholesaler, we appreciate our return customers. It’s why we offer great bulk. Whenever people throughout South Florida start a project, we want them to return to Nalboor Tiles for their natural stones like travertine and granite. We also understand that we’ll only accomplish our goals if we’re delivering quality stones that are sure to impress. We manage our quarries and oversee the manufacturing process from beginning to end. This allows us to deliver products that are more consistently cut bringing out the beautiful patterns. Our Saturnia Ivory Travertine Light comes straight out of Turkey and has minimal fills for greater strength. Only 10% of the tiles produced for sale can meet our strict classifications. So you can be confident that our tiles will be strong enough to handle your most difficult applications, including commercial settings. Our tiles have withstood the tests of time with heavy traffic and regular cleaning. It’s why contractors throughout the region only trust Nalboor Tiles for their high-end projects and personal homes. Whether you’re buying a crate to do your living room or want to have your entire home finished in natural stones, we’re ready to help you. By owning and managing our own quarries, we’re able to exert great control over our inventory. While other wholesalers are going to auction and buying what they can, we’re replenishing our own regular supply throughout the year. If you install beautiful Rojo Alicante in your kitchen and then later add on a sunroom, we’ll be able to provide your company with more of the beautiful red granite at a comparable price. Rather than trying to offer hundreds of choices, we concentrate on offering approximately 27 different natural stones that are timeless, elegant, and durable. We manufacture them ourselves so that we can maintain a stable inventory. In addition to our natural stones, we also carry engineered Marmo glass and roughly three-dozen styles of porcelain tiles. In addition to getting the tiles you need today, you can also count on us to have replacement tiles down the road in case anything cracks. Most wholesalers only work with contractors who are already familiar with the wholesale ordering process and bulk pricing. We understand that our customers won’t always understand how they can save more by getting several crates. We also have the experience to calculate exactly how many square feet they’ll need for the project at hand and what they should allow for breakage and installation errors. That’s why we employ friendly and knowledgeable professionals who are passionate about tile work. We’re ready to answer all of your questions and assist you throughout the ordering process. Our staff members can help you with measurements, and choosing the right natural stone, and more. If you love the look of Calacatta Gold marble but cannot afford the rates for it, then we can direct you to Calacatta Stone Porcelain tiles that are a fraction of the price. We’ll get your order placed and let you know when the delivery should arrive. 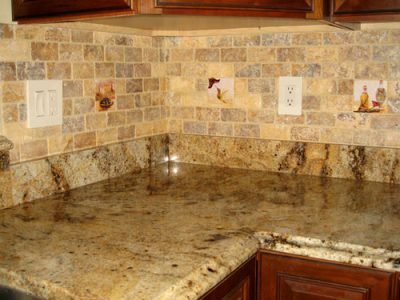 You’ll also find that our customer service is unparalleled just like our stone quality and selection! Project renovations are hard enough, so we try to make the ordering process incredibly easy. You can choose your stones through our online system and place your order remotely. It will be carefully packaged and shipped direct to your warehouse or job site. Another option is just to call us at your convenience. Our staff will walk you through the process and ensure that your order is filled properly. If you’re ordering for the first time, then you’ll appreciate having the opportunity to look at different options and learning more about our bulk rate discounts. Finally, you can always visit our showroom in person. Our wholesale company is open to the public, and we have a warehouse and showroom located in Miami, Florida. This gives you the chance to see our great stones and colors in person, and you can speak with one of our representatives to learn more about Nalboor Tiles and see what sets us apart. Whether you’re a regular customer or are seeing Nalboor Tiles name for the first time, we encourage you to visit us today. Look at our selection online, give us a call at 305-501-4548 or stop in. We’ll give you our undivided attention because we believe in providing every customer with great service, and we’re ready to handle orders of all sizes. We’ve been trusted by contracting companies throughout the Caribbean and the Continental United States, and we look forward to supplying more businesses in the South Florida area for years to come!